This charming one bedroom cottage offers guests plenty of charm along with partial views of the Pacific Ocean, visible through double French doors which open from the spacious living room area. 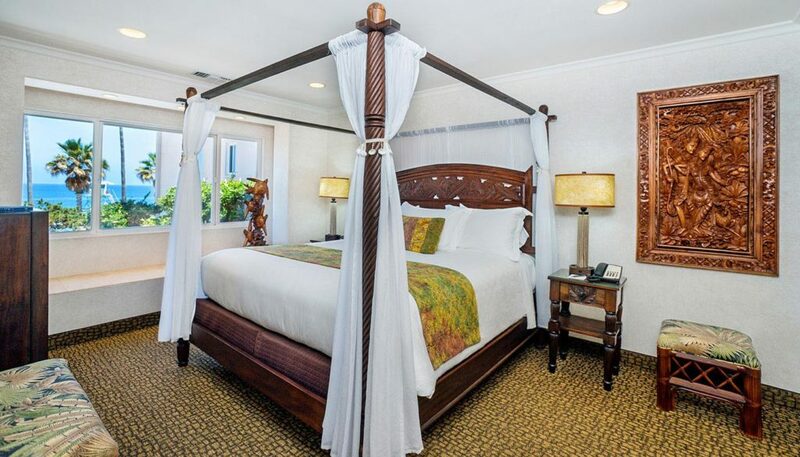 Enjoy a separate bedroom, accompanied by an oversized bathroom and Jacuzzi tub. 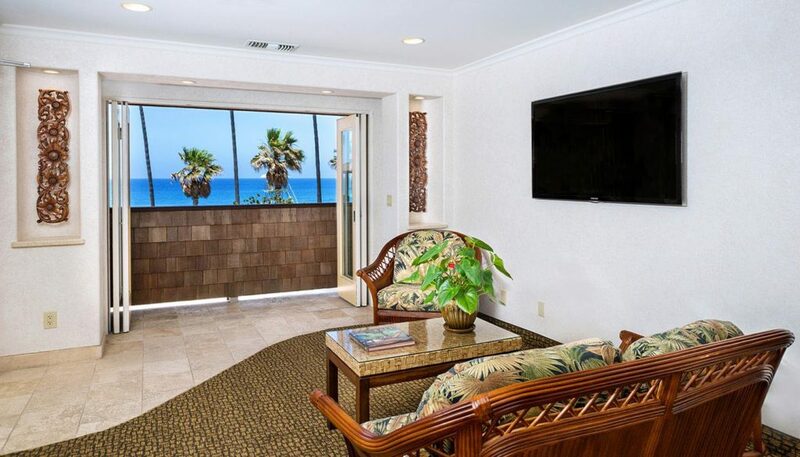 For added convenience, a fully equipped kitchen with top of the line appliances, dishes and flatware is available for guests to prepare a snack or a meal, all to be enjoyed in the dining area of this La Jolla hotel.